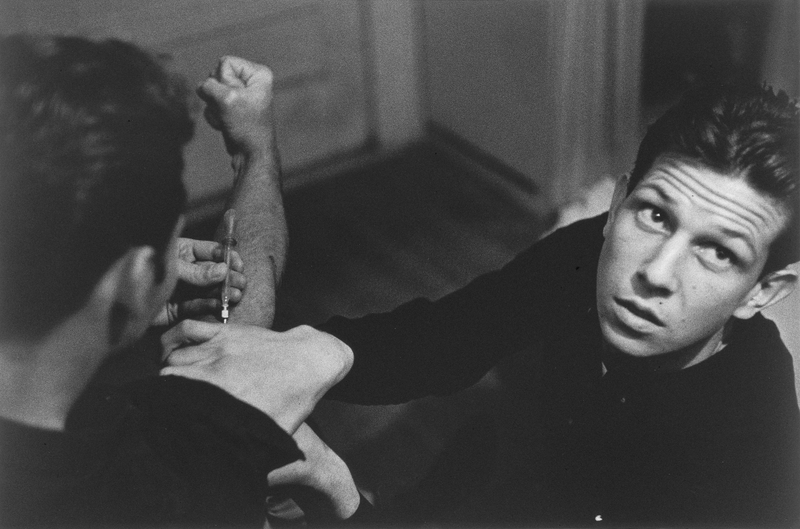 Larry Clark in "Ecstasy in Art, Music and Dance"
Larry Clark is included in Ecstasy in Art, Music and Dance opening September 28 at the Kunstmuseum Stuttgart in Stuttgart, Germany. Ecstasy is one of the oldest and one of the most astounding phenomena of European and non-European cultures. Originally forged in the context of religion and ritual, the transcendental experience of ecstasy was first conceptualized in antiquity. It has been an integral part of Western social theories ever since, even as its definition and social significance have been continually modified and expanded. In indigenous cultural spaces, ecstasy generally bears positive connotations and is experienced within the context of ritual acts, but it was and is often perceived as threatening in societies dominated by industrialization, capitalism, and globalization. Here ecstasy means loss of control, and it harbors the danger of an individual or an entire collective deviating from the norm. Exceptions are transcendental experiences within religious contexts or profane ecstasies, as may be observed during sporting events, concerts, or politically motivated activities. In its cultural significance and complexity, ecstasy also entered the visual arts and engaged in extraordinary alliances with the related disciplines of music and dance. In nine thematic rooms, the visitor will become familiar with the various faces of ecstasy and with the shifting social significance of mind-altering states as it changed over the centuries. In so doing, it will also consider how different cultural spheres handle the phenomenon of ecstasy. With art at its foundation, the exhibition will introduce the viewer to the various ways that artists have approached ecstatic states—from pictorial representations to video and installation works to kinesthetic experiences. The visitor may therefore not only comprehend but also experience the relevance and historical development of ecstasy. Music plays a central role here, as it unifies transcendental experience in all cultures. Rhythmic sounds, repetitive movements, and visual stimuli prepare the groundwork for reaching a state of being beside oneself. For more information, please visit the Kunstmuseum Stuttgart's website.